Bankruptcy is a very stressful and tough process, but many people feel a sense of relief once they come out the other side. Sure, you're going to have a really tough time with securing any kind of credit for many years to come, but at least you're no longer drowning in debt (Or, at least, you've got much less of it to deal with.) In many situations, having that weight lifted, and stopping the debts from becoming worse and worse, is well worth it. Especially if you wouldn't be able to dig yourself out of the hole before the bankruptcy would have rolled-off your credit reports anyways. Please note: We are not bankruptcy lawyers and we are not qualified to offer you any kind of legal advice in any way, shape, or form. If you're considering bankruptcy, you need to speak to a legal expert who can guide you through the process, and help you weigh the pros and the cons for your unique situation. There are consequences to bankruptcy! Don't fall for the illusion that filing for Chapter 13, Chapter 7 is like a free pass to just forget about all of your debts and immediately move on with your life. 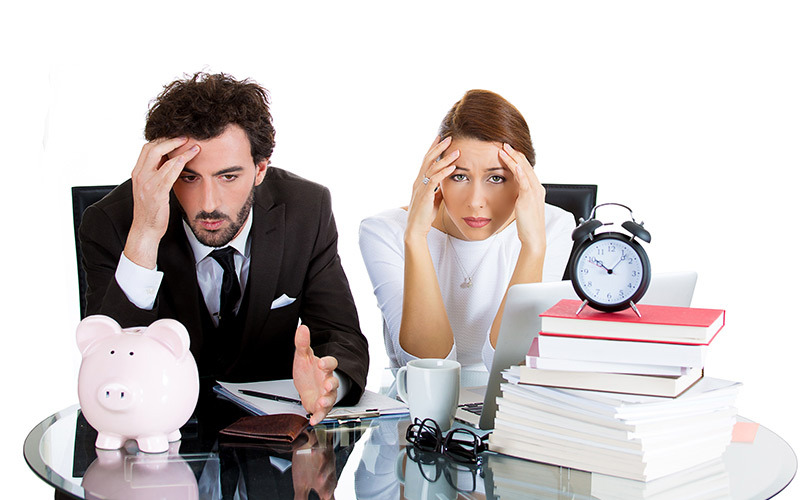 There are repercussions to filing for bankruptcy, which may vary depending on your unique situation and standing. For the next seven years, until all of those negative items are forgotten from your credit score, you're going to have a really difficult time getting credit. 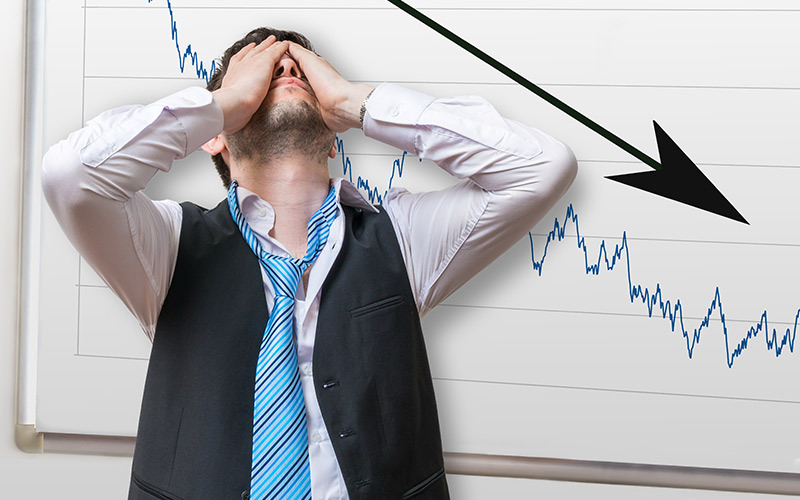 Anytime there's an inquiry into your credit file, they're going to see that you went bankrupt. It's not a good look. That's why, before declaring bankruptcy of any kind, you've got to weigh all of the pros and the cons, and really crunch the numbers. 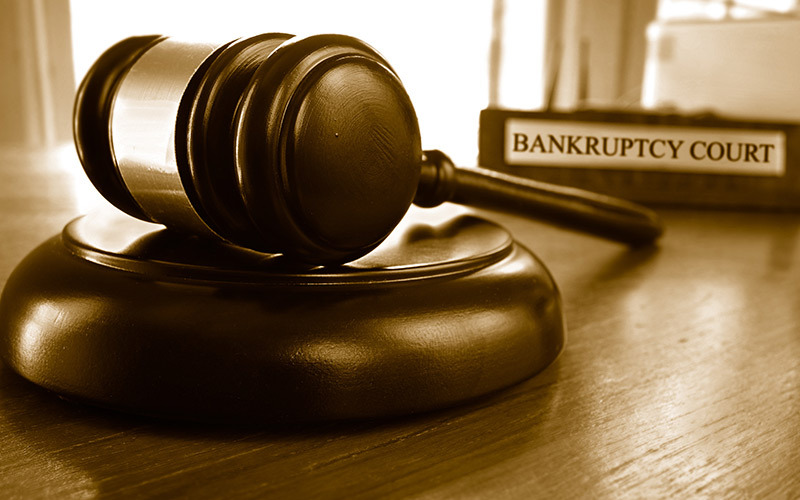 Even though there are consequences, it's not like bankruptcy is a death sentence. You can work your way back, you don't just have to sit around and wait seven years for the negative items on your report to fall off. 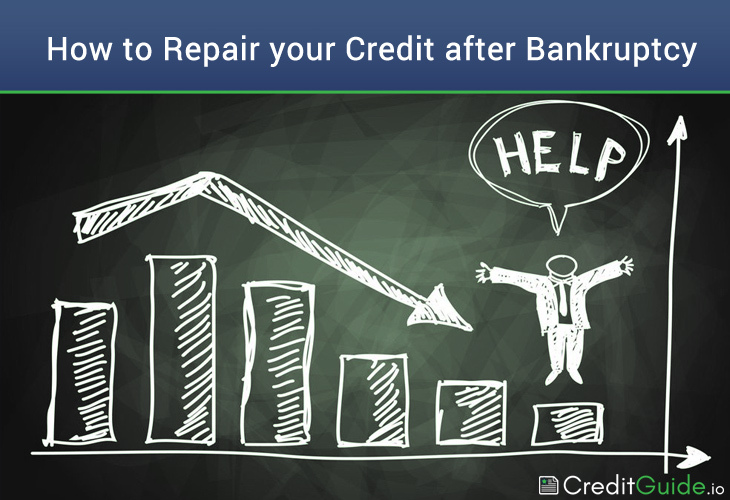 You can start thinking about applying for credit cards, buying a car, buying a home… It's not going to be easy, and it's not going to happen right away, but with the right strategies in place, you can start to pull your life back together after going through bankruptcy. You've got to think about re-building your credit, actively, it's truly a much better plan to be proactive than to just wait around for seven years, putting your life and your goals on hold. It's possible to dispute it in some cases, but this is a very difficult undertaking. If you're able to pull it off, though, it's a huge boost in the right direction. This is generally the type of thing you'd get some help with, and there are numerous credit repair companies who can do just that. It's possible to have that nasty bankruptcy cleared from your report sooner than it would normally be, and some of the negative accounts that came along with it. This puts you in a better position to take control of your financial life again, much sooner than anticipated. There are negative repercussions for not handling the credit repair / delete process perfectly, and for this type of thing it's a good idea to connect with a reputable company with tons of experience in doing exactly what you're looking for help with. Can You Get a Mortgage After Bankruptcy? Depending on the specific bank you're dealing with, and which type of bankruptcy you went through, there is going to be a time-out period where you won't be able to get a major loan. It falls somewhere around a few years, and even when you are able to get that loan, you can expect to pay a really hefty interest rate, so consider taking more to time re-develop a strong payment history before diving right into a home. In some cases, it can be a lot more affordable to rent for a few years while you rebuild your credit score after bankruptcy, and to save up a down payment, than to get a higher-interest mortgage. Even just a percentage point or two can make such an insane difference, that in some cases it may even make up for the rent payments not going towards home equity. As we often emphasize, this is just theoretical, you'll need to make your own calculations based on your own information and goals. Need a new set of wheels? Don't worry, you can still get a car loan even if you've gone through bankruptcy. The good thing about car loans is that they're relatively easy to get, becasue in the worst case scenario, the bank or dealership will have the car as collateral. If you miss a couple of payment, they can simply re-claim it. Still, you can't just go from your lawyers office to file bankruptcy and immediately to the dealership. Take six months, nine months, or even a year to make consistent payments on your credit card (We'll cover how to get one again in just a moment). This new payment history will help a great deal in securing a car loan, and ensuring that you aren't getting too rough of an interest rate. Also, keep in mind, even if they decide to approve you for a larger loan, you don't need to accept all of it. You don't need to go out and get the latest and greatest automobile, why not stick to something you'll be able to pay off a lot sooner? That's not saying to go and get a total beater, but driving something modest for a few years while you re-build and get some savings together is not a bad thing at all. Your options are going to be more limited than if you hadn't gone through bankruptcy, but the good news is that you've still got options. A very important aspect of your credit report is payment history, so opening a new credit card and always paying it on time is going to make a big impact on your score in the long run. There are certain unsecured cards that you may be qualified for designed for people coming out of bankruptcy, and of course there are also secured cards, where you start off by making a deposit to guarantee your credit limit. Both of these will help you start to rebuild, and to build a new history of on-time payments to replace past mistakes. Now, this doesn't mean you've got to go and start paying for everything with your credit card. That can be a slippery slope. Perhaps start by only using your card for a very specific, necessary purchase. For example, you could use it for grocery shopping, or for paying off a particular bill like your cellphone or even Netflix. It's not true that you need to carry a balance in order to build your credit, you'll just end up paying interest for nothing. This time around, it's important to stay on top of your payments, you don't want to end up digging a deeper hole. The main goal now is rebuilding and improving. It's not going to help anybody if we sugar coat things, but there's a reason that you had to declare bankruptcy. It may have been the smartest choice, but you were still in that position. We're not going to make any assumptions, there are a lot of reasons that people can fall into financial trouble. A tough divorce, sickness, helping out a loved one, just going through a rough patch, getting into trouble early on with your first credit card at a young age, and so on and so forth. Some of those simply cannot be avoided, and in t hose cases, well, you did what you had to do. But some of those certainly can be avoided, so if you know that you got yourself into this mess, it's crucial to ensure you don't end up walking down the same path. 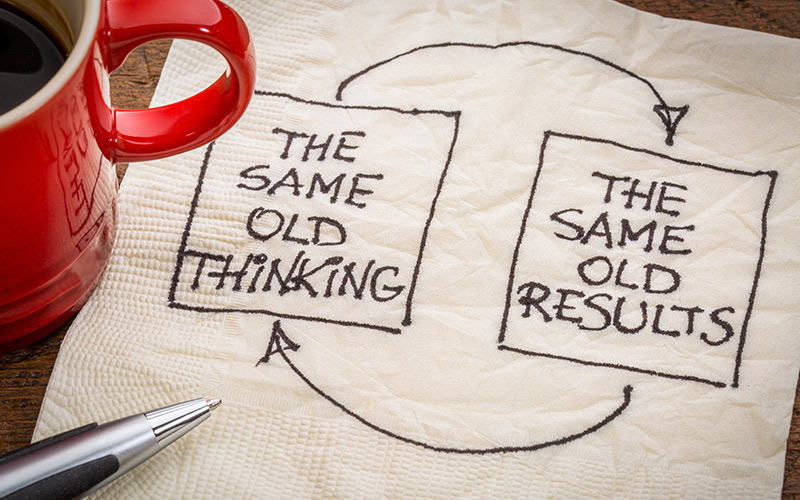 Sometimes, once people start to get back on their feet with a fresh start, they can return to old habits. All the stress of the previous debts may be gone, which can result in reckless spending taking over again. It's important to understand the temptations that may exist, and to learn to avoid them. Just remind yourself how much better it feels to be totally debt free. Does Checking Your Credit Score Damage Your Score?